When it comes to medical equipment, refurbished models are often just as effective and of the same quality as new models and can be far more affordable. For a hospital looking to upgrade its fleet of medical carts to a newer, faster model, the cost-efficient option for both the hospital itself and, in turn, for its patients is to choose reliable refurbished products that operate at the same level of efficiency as a new model. 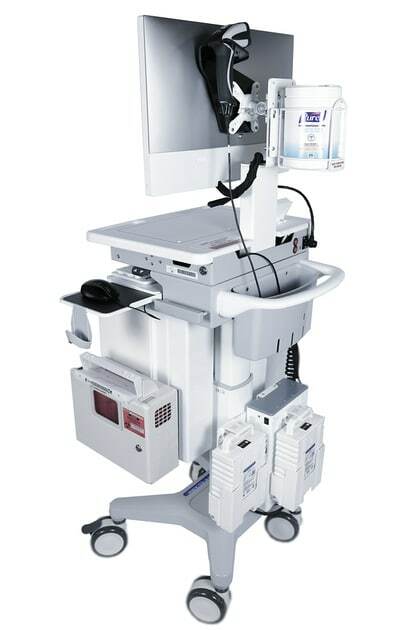 In addition to saving money, utilizing refurbished medical carts can help medical industries to budget their resources better so that when a piece of equipment cannot be purchased refurbished, they will still have the funds they need to equip their medical facilities with the necessary gear. Once upon a time in the medical world, old or refurbished medical equipment was sent overseas and “off-loaded” onto developing countries that were unable to afford newer machinery. However, recent research into the realm of medical equipment refurbishment shows that the current global economic crises have made it necessary for these medical industries to rethink their process and embrace the growing trend of quality refurbished equipment. As medical procedures grow in complexity, they also grow in demand. The population of countries like the United States and developed countries across Europe has come to expect a high level of quality healthcare as well as options that can potentially lengthen, or at least better, their lives. To meet this skyrocketing demand, medical facilities must be well stocked with the equipment necessary to cater to this new age of medical supremacy. But this is far from an inexpensive industry; and it is largely for this reason, in conjunction with the global economic crises in recent years, that refurbished equipment is not only necessary but highly desired. The growing global demand for refurbished medical equipment has given way to a new generation of trained individuals who are experts in the field of refurbishment and retrofitting. Finding these professionals is the first big step in locating affordable, quality refurbished equipment. Face-to-Face interaction – Refurbished professionals often work within smaller businesses that offer a higher degree of customer service, as well as specialization in the field. Find a quality medical cart supplier with refurbishment experience, and you may never need to struggle to try to find a new equipment partner again. High Quality – When purchasing refurbished medical carts from a professional specialized in the area, you are guaranteed a high quality, efficient piece of equipment that will last you years at a fraction of the price of a new medical cart. Warranty – Most mobile medical cart industries will offer a reasonable warranty with their refurbished carts because they have confidence you will never need to use the warranty. The quality of their carts stands for itself, but anything can happen, and so your investment in this new (refurbished) cart is given an extra layer of protection. Eco-Friendly Option – Since the equipment was not required to be built from the ground up, a refurbished cart is the earth-friendly choice to help reduce waste by utilizing equipment that is just as efficient as its newer model. Proven Reliability – Refurbished carts are often older models; however, this is often to the medical facility’s benefit: an older model has had all the kinks worked out, and the refurbished cart has been perfected even more. Whereas newer models, because they are new, may come with a host of problems that could require an early replacement. When it comes to choosing the medical carts, your facility needs to operate at peak efficiency, remember that “refurbished” does not mean second-hand anymore than “new” means perfect. Discuss your options with the right medical cart professionals and figure out what high-quality refurbished carts will work best for your medical practice. In the end, you will be saving yourself time, money, and a whole lot of stress.